KTR Electrical Solutions has a dedicated mission which is to protect our clients’ sensitive electrical / electronic equipment and data from damage. We offer PQ measurement and data collection services to ensure you document your power factor, harmonic issues, or motor starting issues. 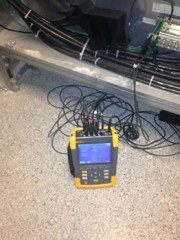 This will also assist with documenting the performance of a harmonic filter or VFD drive system. KTR Electrical Solutions use thermal images to detect defective components, potential overloads, and elevated temperatures within your power distribution system, allowing replacement of circuit components before failure. This proven process eliminates costly downtime or further damage to the electrical system. 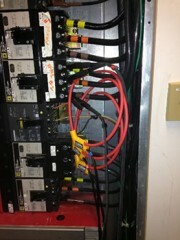 Hot spots are typically caused by unbalanced or overloaded circuits, loose connections, or defective equipment. 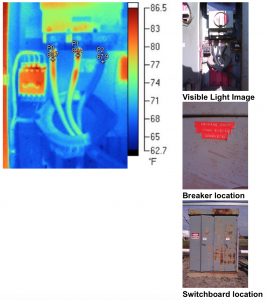 These conditions are often overlooked during routine evaluations of facilities and can result in the release of heat that will be visible only through infrared thermography detection services. Schedule your test today at 610 670 6061. Provide a snap shot in time of the condition of your mechanical systems, motors, bearings, etc.